My involvement as an activist began after I had three strokes, and Transient Ischemic Attacks (TIA’s). I had graduated from Kennedy-King College and majored in Special Education. I went for a teaching job and during the interview explained that I had epilepsy, even though I didn’t have to as I wasn’t in a wheelchair then. I got the job, but about a year later they fired me. In my job I talked to the children about disabilities, taught them sign language and explained that people with a disability have a different way of doing things. The parents were very supportive. I explained to the school that I also used sign language and that a person with a disability has a right to an interpreter, but they refused to get one. I filed a complaint and had a meeting with a mediator. But instead of discussing my case they talked about going to lunch. They said my work was fine but they couldn’t do anything. That was the last time I was able to work with pre-school children. When I was in the hospital I had a problem getting an interpreter. I have the right, but they wouldn’t provide one. I had to write everything down and get them to look at it. This happened at numerous hospitals. I was in a car accident years ago. When I was discharged from the hospital, I was told I was being sent to an outpatient rehab center. But what they did—without consulting me—was send me to a nursing home for no good reason. I’ve seen many people put in nursing homes and stay there for years. They wouldn’t contact my family. Finally my brother found me and got me released. It was like I had been kidnapped. I am always asking for ramps at buildings that don’t have them. For support I reach out to the Chicago Hearing Society, Access Living and ADAPT. It’s important to know that there is support out there and a way to fight back. Now I make phone calls to legislators. Contacting the governor, the media, talking one-on-one, whatever it takes to get things done. Freedom means being able to do things for oneself. No “pity parties.” Sometimes I need a little help. But Governor Bruce Rauner’s cuts make it hard. My food stamps went from $300 to $50 a month. This is a huge problem for many people. 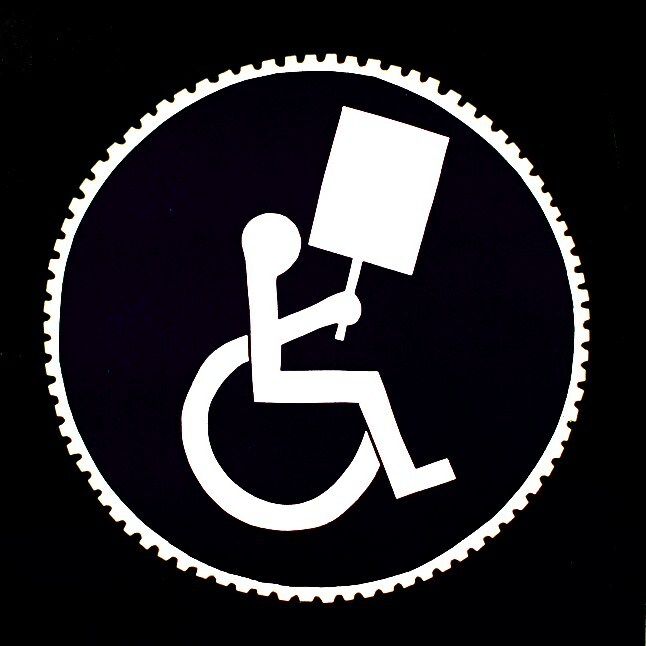 I was arrested for the first time at my first national action with ADAPT. The police kept warning us that we were going to get arrested. If that’s what it takes to be heard, then fine. It’s important to never give up, even if you get tired and discouraged. Those in power need to know that we are not going away. Things may slow me down but I am not going to stop. Stopping is not an option. This entry was posted in Articles and tagged Access Living, activist, ADAPT, Bruce Rauner, budget cuts, Chicago, Chicago Hearing Society, disabilities, disability rights, epilepsy, food stamps, handicap, Nursing home, rehab, sign language, wheelchair. Bookmark the permalink.